October 22, 2018, RegitzMauck Press Release. Mike Regitz of RegitzMauck was honored to serve as a Lector at the 2018 Red Mass at the Cathedral Shrine of the Virgin of Guadalupe in Dallas on October 13, 2018. 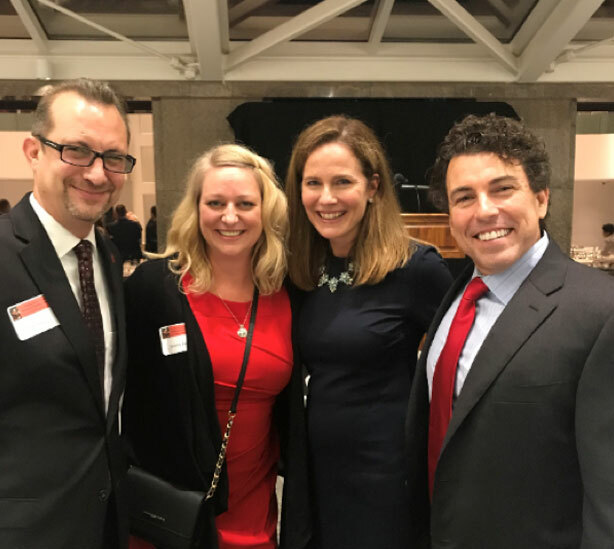 It was RegitzMauck’s pleasure to also host clients and friends of the firm at its table at the Petroleum Club reception immediately following the Mass. 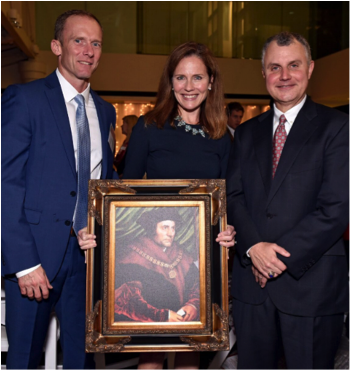 This year, the St. Thomas More Award was presented to the Honorable Judge Amy Coney Barrett of the U.S. Seventh Circuit Court of Appeals. The Most Reverend Edward Burns, Bishop of Dallas, presided over the Red Mass, and the Most Reverend Archbishop Salvadore J. Cordileone, Archbishop of San Francisco, was the homilist. Attendees of the ceremony, which invokes the guidance of the Holy Spirit in the deliberations of the courts and other endeavors in the administration of justice, included members of the judiciary, the bar, law faculty, and public officials. The name of the Red Mass, which originated in Europe in the thirteenth century, comes from the red vestments worn by the clergy and the scarlet robes worn by the judges. 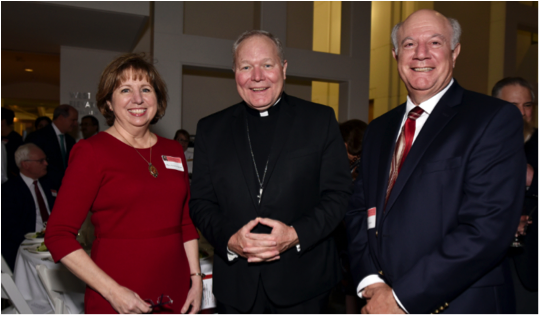 Attendees of the Red Mass are encouraged to wear red (e.g., red ties for the men, red dresses for women). RegitzMauck PLLC is an intellectual property boutique based in Dallas, Texas. The firm focuses on providing value-based legal services to cost-conscious clients seeking high quality legal representation in intellectual property, cybersecurity, and data privacy matters and disputes.